The 3M Sound Detector SD-200 is a compact, lightweight sound level meter designed for measurement of workplace noise levels. Its intuitive design makes it easy for users to measure sound levels and determine the degree of hearing protection that may be required. Plus, it offers an integrating feature that computes the average sound pressure level allowing for more accurate assessment of intermittent sound levels. A simple, user-friendly interface makes the SD-200 easy to operate. The user selectable LED Alert screen provides a quick visual reference of sound levels with green, yellow and/or red LEDs that flash when preset noise levels have been reached. A rechargeable lithium polymer battery helps lower the total cost of ownership compared to other sound level meters that use replaceable batteries. 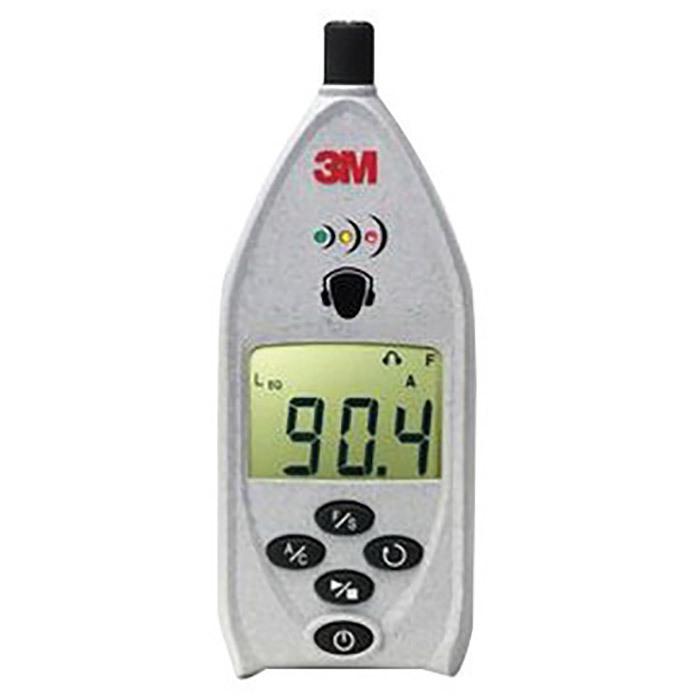 The Sound Detector SD-200 delivers the sound-measuring capabilities needed to assess workplace noise levels.